The following testimonials are from some of our many satisfied clients. I am very happy with Chahal Associates. Chahal Associates provide very specialized service for all tax needs for incorporation, accounting and taxes. I have referred several colleagues and they are all very happy with the service and expertise. We are customers since 2011. We are very pleased with the professionalism of the whole team at Navjeet Chahal and associates. Their response is very timely and they don't leave any loose ends. Navjeet is very knowledgeable and ethical . We feel we are in good hands. I have been referring my family members, friends, and clients to Chahal and Associates for 4 years now for the their individual tax preparation needs. I only refer clients to someone I would refer my family members to and I would certainly recommend this company. As a Real Estate agent and Real Estate Co. owner, I have the privilege of being able to refer my clients, especially first time home buyers and income property owners, to someone I have total confidence in as far as taxation knowledge and professional courtesy. Everyone I have referred continue to have Chahal and Associates handle their personal taxes. I recommend Chahal and Associates without hesitation. I co-own several businesses and real estate. I also run a consulting company. Chahal & Associates has been helping me for 4 years with services ranging from tax compliance to international estate planning. At Chahal & Associates I received the kind of creative strategic advice that I had been seeking for years. Navjeet brings vast experience with tax authorities to the table. He has quick and practical solutions for even the most complicated federal/state tax planning questions. I highly recommend Chahal & Associates. I own a Transportation Company in the Central California, Taxes and Payroll for the drivers and employees is not easy at all in this business. There are only few people, those who understands the business. In last two years lot of companies has been shut down by IRS due to tax issues which caused them millions of dollars and bad reputation and I know them personally. So I was really worried about finding a good CPA, (because I was deducting the taxes from employees and I was behind 4 months because I couldn't find a good CPA) One of my friend referred me to Chahal Associates, So I set up an appointment. To make the long story short. I explained him my business and what I want and don't want. We understood each other quickly and I got the feeling that they are not too big (I didn't wanted to go with big firm) and the firm is really about customer service and results oriented. They quickly put me with the people I be dealing with on weekly basis. 3) Bi-Weekly Payroll which is getting done with a single email and you get it back in two hours. I am an operator of 6 Roundtable Pizza Franchises. I have been using Chahal & Associates for last 4 years for my accounting and tax filing needs. Chahal & Associates staff has always provided me with on time and accurate financial statements. I am very much thankful for there whole team. I value customer service and tend to only leave reviews for those who really deserve it.I have been going to Navjeet now for 7 years and his team is amazing. I am always taken care of as though I am part of his family. He takes the time to make sure I am getting back the most money possible since I always seem to exempt when I shouldn't and he also takes the time to give me advice on how to succeed financially. I refer all my family and friends to him and now even my clients at my current job. Navjeet and his team are there for you and are great financial advisors; one would be crazy not to go to him! Bottom line, Chahal & Associates are knowledgeable and kind, and they make the whole meeting done with style and ease. I found my accountant from now on. I am thrilled with the services that Mr. Chahal provides to our family business, my father and I have been clients of Mr. Chahal for several years now dating back to 2003 . With owning and operating several restaurants we look to him for strategic planning and longterm solutions. Not only are his services of value, but his vast network of clients and relationships acts as a resource to our business. He simply connects us to the right people for our business needs. We are looking forward to grow our business with him for years to come. We have been using Chahal and Associates for almost 10 years. They have been doing a wonderful job in filing taxes and payroll not only for the company but employees as well. They are very committed in providing good customer services. We are glad to have an honest CPA as Chahal and Associates. Highly recommended to family and friends. I own few businesses such as Gas Stations, Subway Restaurant, Real Estate firm and a Networking company. You can say I am busy. Friend of mine refereed Chahal & Associates to me as my accountant. I went to see Mr. Chahal's office, met all his employees. I was impressed with professionalism and detail they paid to my account. I felt like home. Transfer from my previous accountant was easy. I signed one page and Chahal & Associates took care of rest. I highly recommend Chahal & Associates. They are well worth the investment. Searching for a competent and professional tax service has always been one of the most stressful experiences. It seems like almost every year, I was leaving my old tax service for a new location in hopes of finding a knowledgeable tax professional that could assist with all of my finances. I’ve gone through many large tax firms thinking that they would have the most knowledgeable tax preparers to find out that many of these individuals had just graduated from their tax courses. Most of them were working their first tax season as well. After seeing an advertisement for Chahal & Associates, I thought I’d give the service a try, since it couldn’t be any worse than continuing with the tax preparers I was already using. Today, I’ve been with Chahal & Associates for nearly 5 years, and every experience with them has been remarkable. In every encounter, Chahal & Associates has shown me that customer service, professionalism, and knowledge does exist within the tax service/ accounting industry. In an example of their extraordinary customer service, I requested the last two years of my tax returns, and Chahal & Associates was able to provide me with a full copy of every document at no charge within 10-15 minutes. Since I’ve started with Chahal & Associates, I’ve seen the successes and praises that this business has received from many of its loyal customers. 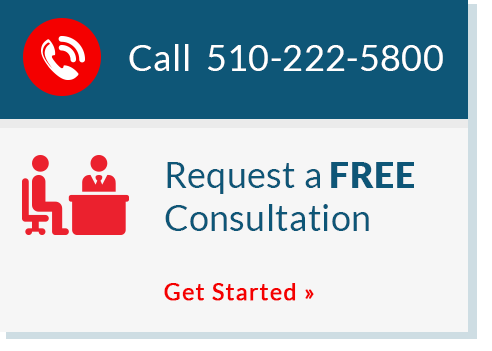 Navjeet has truly done an incredible job in taking a simple tax service to a leading tax preparation and accounting service in the Bay Area. Without any reservations or regrets, I would recommend Chahal & Associates to anyone that asked.